When the long-promised, long-awaited Savior finally comes to his nation he will not be welcomed by all. This is the nineteenth post in the series The Musical That Changed The World. It would be natural to expect the nativity story to end on a note of joy and glory. For all the angelic appearances, miraculous conceptions, songs, promises, and messianic expectations, when the story brings baby Jesus into the Temple for the customary blessing of the firstborn son, we find that it closes on a dark, prophetic note. 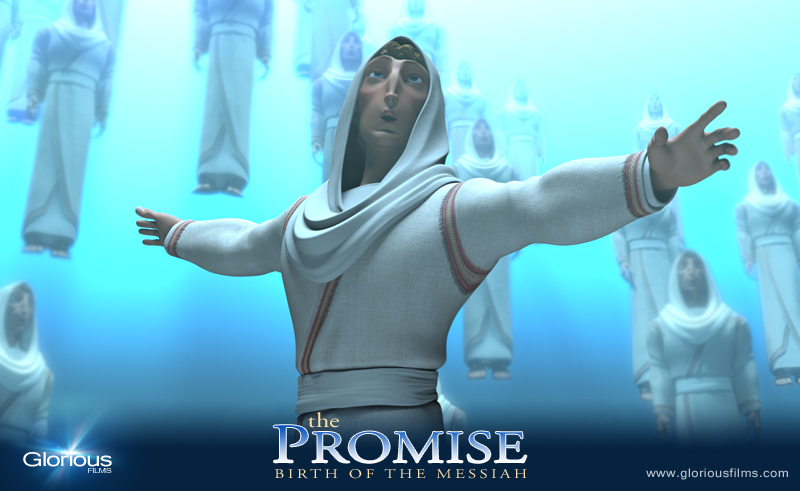 The day of the Messiah’s coming is not something many will be able to stand. The Savior will divide the nation. The rising and falling is seen right off the bat in Jesus’ ministry as he chose to invest himself in 12 common men, not those from the political and religious leaders of Israel. Second, he is appointed to be a sign that is opposed. That means many will oppose him as a legitimate Messiah. He won’t just be ignored or dismissed, he will be actively opposed. He will not just face indifference, he will face battle from his own. We will see this opposition in chapter 4 of Luke where Jesus is preaching in the synagogue of his own home town, and the response was not one of joy. And the last note is particularly devastating to Mary, and it doesn’t take much imagination to see that this sword that will pierce her heart is the sword of seeing her son beaten and crucified. This crucifixion reveals those who belong to God and those who do not. Read the previous post A Light to Gentiles, Glory to Israel. See the index of the series The Musical That Changed The World. The Salvation that comes to the world for all peoples will have a different impact on these peoples when it is received. This is the eighteenth post in the series The Musical That Changed The World. 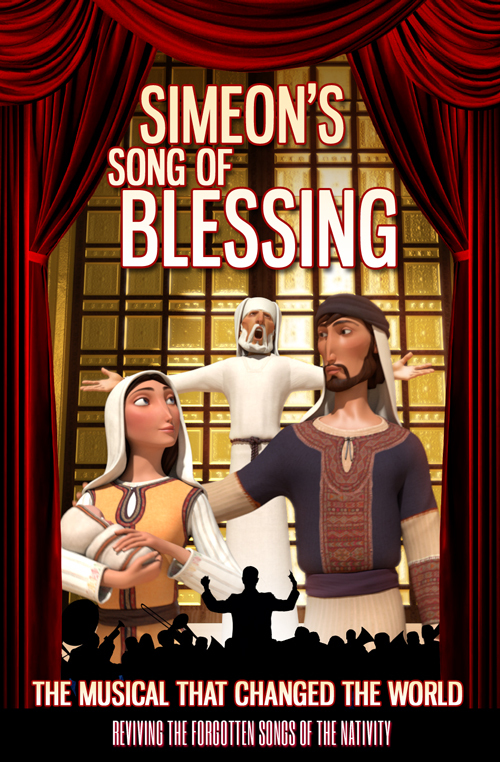 As Simeon has just praised God for this child which represents God’s salvation that has been prepared in the presence of all nations and peoples, he does recognize that how this salvation works out has some difference between different people groups. For the Gentiles, this salvation is a different experience than it was for the Jews. The Gentiles have never seen salvation in their idols and pagan worship, and so this coming of Christ will be a light that reveals God’s salvation to them. Even though it’s been prepared in their presence, their eyes were dark and unable to see it for what it was. Zechariah used the same light metaphor in his song when he called the Messiah the rising sun that pierces the darkness. For the nation of Israel this salvation that comes through this child will be glory to them as a people. Why glory? Because they have been the people through whom God prepared this salvation in prophecies, promises, and pictures found in their ceremonies, festivals and religious practices. They are Israelites, and to them belong the adoption, the glory, the covenants, the giving of the law, the worship, and the promises. To them belong the patriarchs, and from their race, according to the flesh, is the Christ, who is God over all, blessed forever. Amen. The Jews already had this light of revelation in the Old Testament era, and they were ridiculed and persecuted for their worship of God. But now they will be vindicated as the Gentiles receive the light of revelation which leads them to embrace this very same God. The coming of the savior was not something shrouded in mystery, it was prepared in history before the eyes of all people. This is the seventeenth post in the series The Musical That Changed The World. As this elderly servant of God, Simeon, holds the baby Jesus in his hands, he makes a remarkable statement. Now that he has seen this child he is ready to die in peace. This is not a sentimental statement. He’s only just met this child and his parents. He identifies this baby as the salvation of the Lord. Remember, God promised Simeon that he would see this salvation before he died, and now is the moment of his seeing. All four of the nativity songs have identified Mary’s child as the salvation of God, sent by his mercy, not in response to our merit. This is so significant a purpose of this child that this man Simeon’s life hinges on seeing the advent of this salvific promise in flesh and blood. Then he makes this odd statement about this salvation being “prepared in the presence of all peoples.” What does that mean? I think if we were to write a blessing for Simeon to recite at this time I don’t think this statement would cross anyones mind, unless we had a firm grasp of the Old Testament sweep. We might understand the statement but I doubt we would esteem it over other things we would choose to say. Simeon is simply saying that this act of God in bringing salvation wasn’t hidden from mankind. It didn’t just happen out of the blue. God has been very open with the preparation of this savior child throughout history. This is worthy of our consideration and rejoicing. God is the of both Jews and Gentiles of all ages of history. It’s a remarkable truth that should remain on the forefront of our Christmas celebrations. Read the previous post The Heavens Rejoice. God promised the aged Simeon that he would see God’s salvation in the Messiah before he died, and as he holds this newborn at the Temple, he prophecies something completely unexpected that this Messiah will face. The angelic birth announcement is the concert of all concerts that praises God for the gift of all gifts. This is the sixteenth post in the series The Musical That Changed the World. 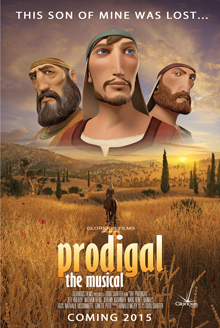 The curtain that separates the natural and supernatural opens to reveal an angelic choir who give these shepherds a private open-air concert unlike anything ever seen or heard in human history, given as part of the heavenly announcement and celebration of the birth of God’s Son to human kind. These angels weren’t just a band for hire, this was sincere, angelic praise. As they witnessed the unfolding plan of God’s promises and his redemption of man, they were moved to praise, a praise that all of creation should have been party to. Their words praise God in two ways. This work of God in sending his Son to be a warrior king who will bring salvation to mankind causes them to give glory to God. Even though men on the earth are the beneficiaries, this is a ttranscendentcause that gives God glory in heaven among the angels. The most striking thing about God sending his Son on the earth is not glory, though that itself is true, rather it is peace. Why peace? Because mankind is not naturally at peace with God. Ever since Genesis chapter 3 all mankind was born into enmity, or antagonism, with God. Rebellion is in our blood, not peace with God. But now that the Savior, Jesus Christ the Lord, God’s Son, is on the earth, now there can finally be peace through his redemptive purposes. This is an all encompassing peace available to all the nations and races of the earth. But it is not a universal peace. There is a qualification to this peace. You probably know this verse better by the King James translation which reads “…and on earth peace, good will toward men.” This is a very unfortunate translation that misses the intention of the Greek. This seems to communicate a general peace and well-wishing sentiment for all mankind, which is not what is being said. The Greek phrase reads “men of God’s good pleasure,” which is the Jewish way of describing men and women who are counted among God’s people. It’s a phrase that distinguishes between people. Read the verse again carefully. Who is this peace on earth with? It’s among those with whom God is pleased. This goes along with Mary’s Magnificat where she says his mercy is for those who fear him. This is the peace that Zechariah sung of for those who have been led out of darkness and have been guided to the path of peace with God. And here, this peace is for those who recognize that this child is the Savior, Christ the Lord. The most pressing need of mankind in any age is not peace among the nations, or peace within families, or peace that ends war and atrocities. Yes, those are needful things, but the most urgent need of man is that he find peace with God. This is the greatest gift that God could give man — that man the rebel against God would find peace with God. And it’s a peace that was made possible by this child lying in a manger 2000 years ago. Read the previous post The Savior, Christ the Lord. See the index to the series The Musical That Changed The World. The heavenly messenger presents one of the most significant statements in all of scripture in this three part title of Jesus. 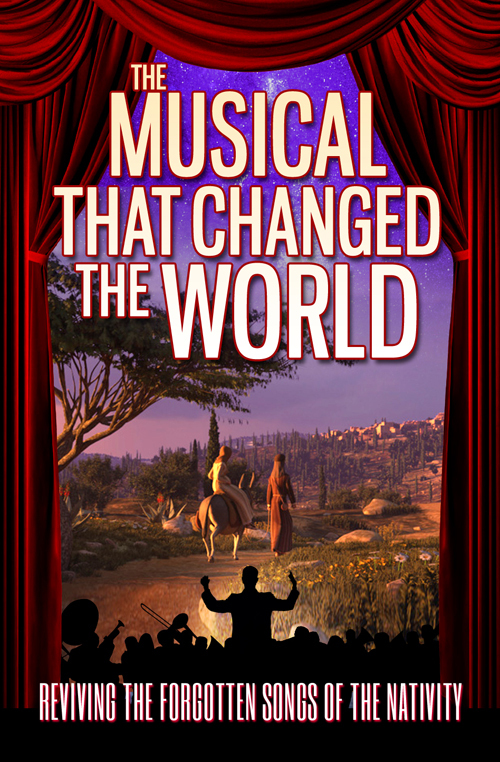 This is the fifteenth post of the series The Musical That Changed the World. As the world remains silent on the night of Jesus’ birth, the Shekinah presence of God descends with a chorus of angels to announce the birth of God’s Son in heavenly proportions. And this divine announcement gives us one of the most significant statements in all of Scripture. This was the day that many saints in the Old Testament longed to see, just as Simeon did. 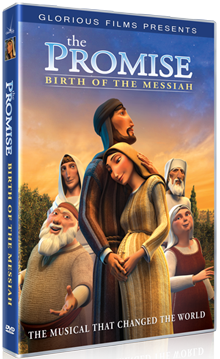 Scripture tells us that Abraham, Moses, David, and many others looked forward to the coming of the promised Messiah, and now it’s finally happened, and thousands of years of prophecy, promise and expectation is fulfilled. And the first ones to hear it are shepherds. This newborn child is given a three-part title that is found together nowhere else in Scripture. That title is “Savior, Christ the Lord.” This title gives us a comprehensive understand of who this child is and what his mission will be. In the Old Testament the one who is identified as Savior the most is God himself. God is the Savior of his people who delivers them from peril, enemies or pestilence. And in the New Covenant promises it’s God who will save his people from their sin. In the nativity story thus far this concept of savior has been well established. Mary sings of her Savior who will overturn all that men place their trust in. Zechariah sings of the Horn of Salvation, the warrior who saves his people from their enemies and leads them from the captivity of darkness into the light of peace with God. And now this angelic chorus announces the birth of this Savior, who is clearly identified as baby Jesus. ‘Christ’ is a translation of the Greek work ‘Curios,’ which is a translation of the Hebrew word for ‘Messiah.’ It literally means, “anointed one.” It refers to the promised King who was to come from the line of David who would establish the eternal kingdom. That is what the title “Christ” means. Names given to children in the Hebrew culture were very significant. When a title is given to a child a birth that is incredibly significant, and this three part title given to Jesus accurately and clearly describes who Jesus will be. These are titles given to him from heaven, and we need to be clear these things are not left for us to decide. He is Savior, Christ the Lord whether we think he is or not. We either accept it or reject it. And these shepherds are given directions on how to find him. There probably were not very many newborns wrapped in swaddling clothes lying in a manger in Bethlehem that night. 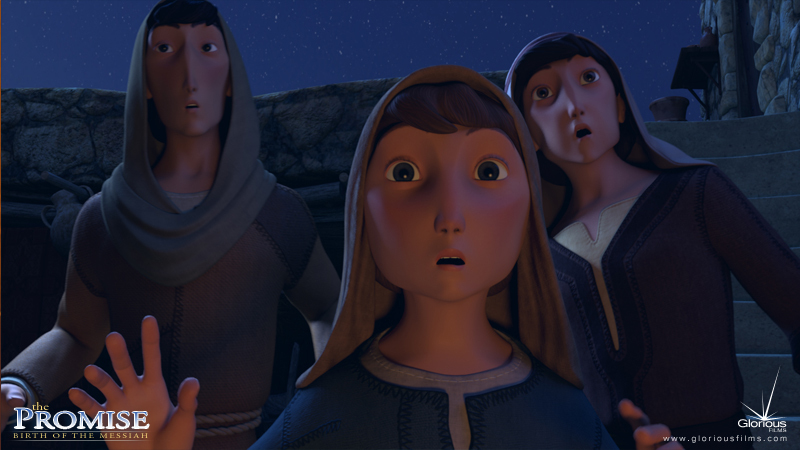 The angel is telling these shepherds that, even though they have no status or pedigree, they have a personal invitation to go see this anointed child. Read the previous post Good News of Great Joy. Angelic announcements bookend the conception and birth of the Messiah, ending with an angelic choral announcement of good news of great joy. This is the fourteenth post in the series The Musical That Changed the World. 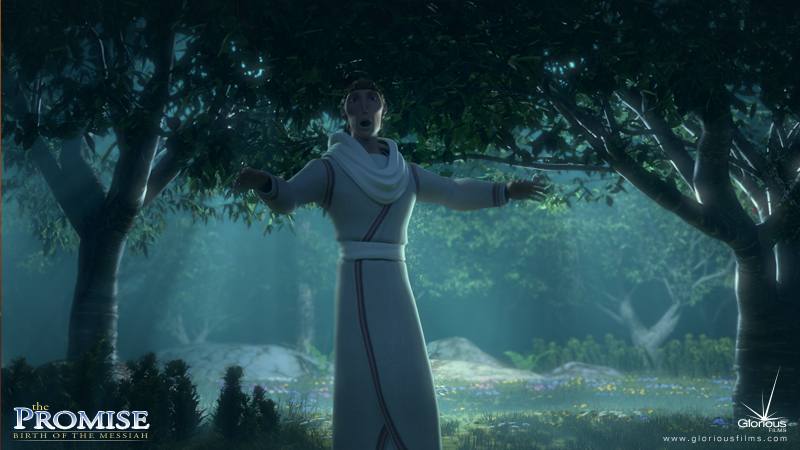 It was Gabriel the angel who appeared to Mary to tell her she would bear the Messiah. Nine months later an angel of the Lord, perhaps Gabriel, appears to shepherds on the fields of Bethlehem during the night. And in the same region there were shepherds out in the field, keeping watch over their flock by night. And an angel of the Lord appeared to them, and the glory of the Lord shone around them, and they were filled with great fear. And the angel said to them, “Fear not, for behold, I bring you good news of great joy that will be for all the people. The angel is not alone. He is accompanied by the Shekinah glory, the very presence of God. We see the Shekinah glory in the Old Testament as the pillar of cloud that led the children of Israel through the wilderness by day, and the great cloud that filled the Temple at it’s opening during Solomon’s reign. This very cloud surrounds these shepherds on this incredible night. The angel brings a message of “good news of great joy.” The “good news” is the “gospel.” Gospel means good news. Isn’t that what the world needs? We are drowning in bad news all the time. It’s refreshing to get good news, and it’s even more refreshing to get news that gives us cause for joy. But the angel’s news is cause for “great” joy. This is joy that cannot be contained, joy that motivates an immediate response, just as these shepherds who race to Bethlehem to see this Messiah child. And they can’t keep this to themselves. Great joy must be shared, and they become the first evangelists of the incarnate Son of God. In fact, even though this is a personal address, the good news of great joy is for all people. That doesn’t mean the good news is applied to all, but it does mean that it is available for all people. And what is this good news for all people? That is in the next verse. See the index for The Musical That Changed The World.